Does Your Business Phone Keep Up? The modern office looks different than it did even a few years ago. Businesses today are on the go, employees work varying hours, and a lot of work is done remotely. If this sounds like your organization, then your traditional, on-premise PBX isn’t meeting your demands. A Hosted PBX is a cloud-based phone system accessed via your IP network and has the power to perform all your business communication needs. By taking your PBX off-premise we remove failure points and create a single point of control for your entire voice infrastructure. As long as your staff has access to internet or LTE on their mobile, they have the power of their desktop phones wherever and whenever. Good communication is at the heart of every sale and every happily-served support customer. iTel Hosted PBX offers specific resources that’ll help you improve your customer relations. When customers call you, they should never get a busy signal. Not only is it frustrating, but it could also result in lost revenues. iTel Hosted PBX offers a unique protocol called burstable capacity. This system assures that your phone lines will never ring busy – ever. Another benefit is burst billing where you only pay for the lines that you use – a huge cost savings advantage. Should you need more during peak times, we can automatically burst your line capacity to handle the influx of calls. iTel Hosted PBX offers a comprehensive auto-attendant system that’s completely customizable. Create a phone journey that connects your customers to the right people and right departments in the quickest and most user-friendly way. Open up possibilities with a cloud communications systems that empowers your business to do more. A single iTel Hosted PBX can replace the legacy phone systems at all your locations. There’s no hardware to break or depreciate and no service charges for system changes. This system is effortlessly scalable. As your business changes and grows, you can roll out new features and add or remove phones and phone lines with ease. Your Hosted PBX exists in multiple data centres across the country. Even if the lines to a location are cut, you’ll still have access to your systems and calls can be re-routed to cell phones. Seamlessly route calls between all your locations. Instead of having to staff for peak call volumes, any overflow calls for a Calgary office can be answered in Vancouver. A single receptionist can answer calls from across the country.  iTel Hosted PBX supports the BYOD (bring your own device) philosophy, namely mobile integration. Connecting your business phones to employee mobile phones allows your business to be always on and your staff just a phone call away. The iTel Hosted PBX system comes with a rich set of features that can be implemented via our easy-to-use online portal. You can manage calls and features from any device with an internet connection and without the need to call your voice provider. Make configuration changes, move resources around, modify users settings, change reporting, auto attendant, hunt groups etc. with the click of a button. Label calls to see which department or product the caller is inquiring about, allowing staff to answer calls accordingly. Easily change your outbound caller ID. A handy feature for phone systems supporting multiple businesses. Connect your intercom to external audio systems, eg. paging in a warehouse. Leave voicemail messages to multiple users at once. Create a virtual presence even where you don’t have a physical office. Take your phone meetings to the next level through our Polycom VVX with the attached camera. Allows users to receive calls at any location and be reached at multiple phone numbers. Allow an extension to break into a call at another extension. Your phones will never ring busy again. iTel’s burstable capacity gives you more lines during peak call volumes. Mark inbound calls that require tracing or follow-up. Receive email voicemail notifications and voicemails emailed as attachments. Sold on hold. Inform your customers with music and custom promotional material with breakout options to request call back or inform on wait. Route calls according to the time of day. Improve quality control and train new employees faster. Review calls to catch important details. Allow callers to be put on hold while user calls another extension. Have calls ring to multiple phones in a department at the same time. Host remote meetings and connect multiple staff and clients. together. Multiple conference rooms can be created, with up to 50 participants in each room. Instead of purchasing physical hardware, run your phone system on your computer using a headset. Place incoming calls on a waitlist to be answered. Your phone will flash indicating you have new messages waiting. Connect on cell phones, softphones, desk phones and more. Online portal allowing you to edit and add extensions, modify queues, manage call flow, and review detailed call log reports. Track and review call statistics to gain insight on how your business uses its phones. Skip the support call loop and speak to a real person within minutes. The cloud-based PBX performs nightly cloud data backups. Emergency technical support is always one call or click away. Connect with our team of highly trained technicians based out of our head office in Kamloops, BC. Auto attendant to efficiently route your calls. As a full-service provider, iTel offers value-added services to enhance your entire business network. When you connect multiple services with one company, you get the benefits of a first-class communications network all delivered on one simple bill each month. iTel enterprise-grade fiber offers the best possible connection for your business phone system. Enjoy dedicated unlimited symmetrical speeds, delivered on our ‘network of networks’ that is unique to iTel. The result is a redundant connection with a 100% uptime guarantee, 4-hour meantime to repair (MTTR) and industry-leading support. iTel is one of the few companies that can create a single, Layer 2 path across the country. One unique meshed network embodies all of Canada’s upstream providers, enabling us to connect geographically diverse office locations all on the same network. Learn more. A Hosted PBX delivered over an internet connection that’s MPLS-equipped will guarantee crystal clear call quality. By defining Quality of Service profiles that prioritize critical data like voice and video, MPLS will choose the fastest and lowest latency path possible. Your data receives the express lane treatment. While all other traffic has to stop for routing inspection, MPLS traffic flows right through because the labeling has already defined the destination. Learn more. Take your hosted pbx system to the next level with a complete end-to-end phone system that covers every single aspect of your voice system. We call it “managed” because our team of experts does all the work for you. Learn more. There is nothing more frustrating than waiting on hold for hours or getting the technical support call loop runaround. When you call iTel Support, you’re connected with a human based out of our Canadian headquarters in less than one minute. Our Support Technicians are expertly trained to fix your problems on the first call.